Overhead Crane Solutions is made up of the best professionals in the industry. All Overhead Crane Solutions employees have a significant amount of expertise in their field with “years of experience working for you”. From a 200 Tonne overhead crane package to a broken emergency stop, Overhead Crane Solutions has the resources to handle it. Our Mission is to remain responsive to customer needs and to assume a key role in the industry by meeting and exceeding industry standards & expectations. At Overhead Crane Solutions Inc., it is our goal and commitment to attain an injury and accident free workplace. Having completed an extensive in house health and safety program, we hold a valid SECOR. Overhead Crane Solutions has developed an inspection program which is detailed, thorough and straightforward. Some of the current programs in the industry are confusing, with numerical ratings, charts and graphs. Our system is designed to get to the point “What condition is my crane in?”. Whatever position is held within your company, be it management or a worker on the floor, our inspection reports are easily understood within seconds of looking at them. I have personally found Overhead Crane Solutions to offer superior value to their direct competitors. Overhead Crane Solutions are always readily available to help in cases of emergency, they perform thorough inspections and provide good follow-up on their findings. Their safety process is up to date and they have been known to follow our safety guidelines closely. I would definitely recommend Overhead Crane Solutions for all your hoisting and rigging equipment servicing needs. 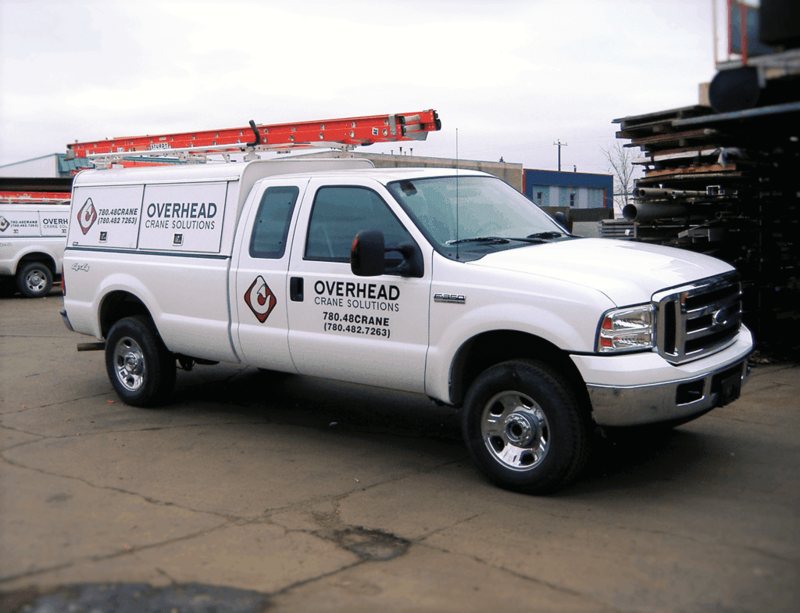 Overhead Crane Solutions Inc. is always there when you need us. With 24/7 365 on call service you can rest easy knowing that we will be there for you. Our service trucks come fully equipped to handle any breakdown situation.